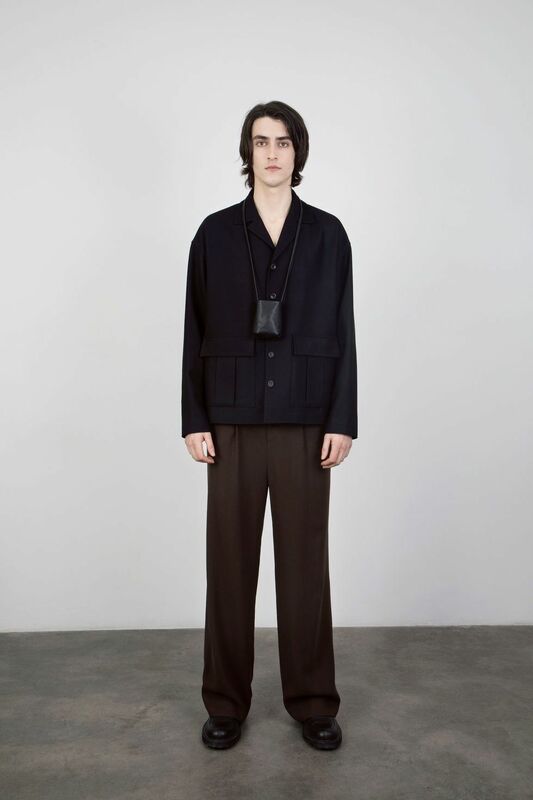 As we see from the menswear runways of this fashion month, and some shows from fashion weeks past, menswear is no longer just for men. 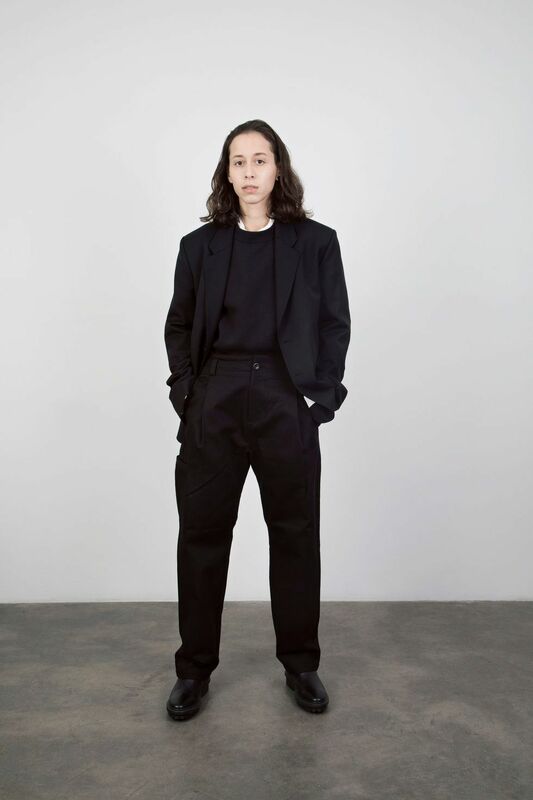 All the biggest shows and labels have been creating chic, gender-neutral looks for everyone, and small independent fashion brands are no different. 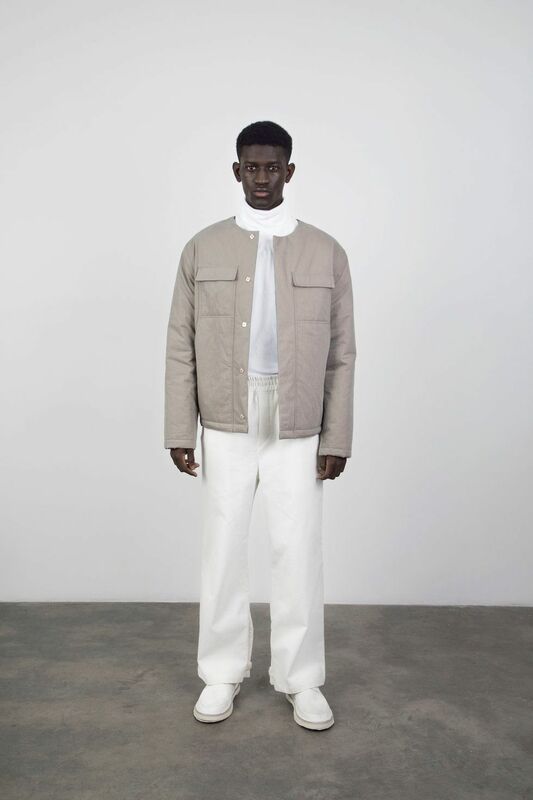 Untitled Collective, a New York-based contemporary menswear brand focuses on comfort and function — specifically for artists. 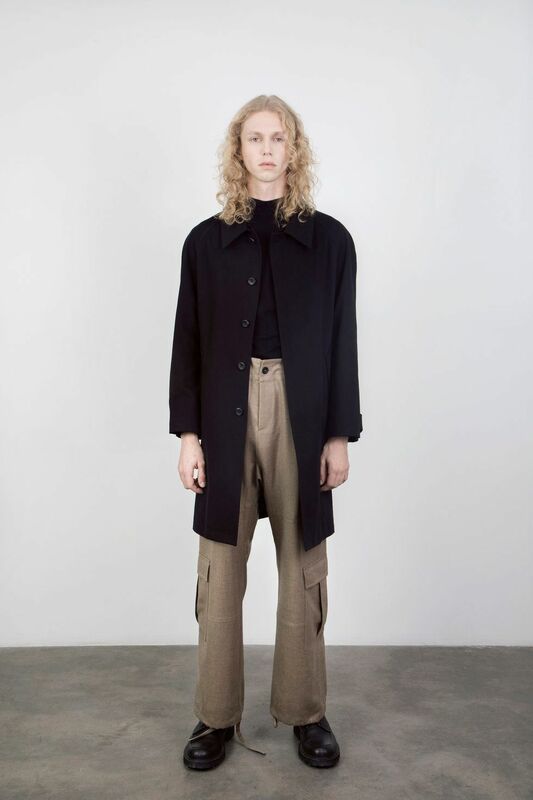 Their fall 2019 line takes inspiration from the Art Workers' Coalition, which was founded in 1969 as artists began to demand reforms within their communities, to end discrimination and inequality. And so Untitled's intention was to ground their pieces in this historical context, and to take it a step further from there. The garments were displayed in a gallery exhibit-style showing on February 3, with the models sitting on one side of the room, a perimeter of tape surrounding them like artwork. Part of the questioning the designers wanted to encourage among artists, as creatives themselves, was to ask questions regarding the commodification of art, societal issues, and also about the purpose and definition of art and artists as well. 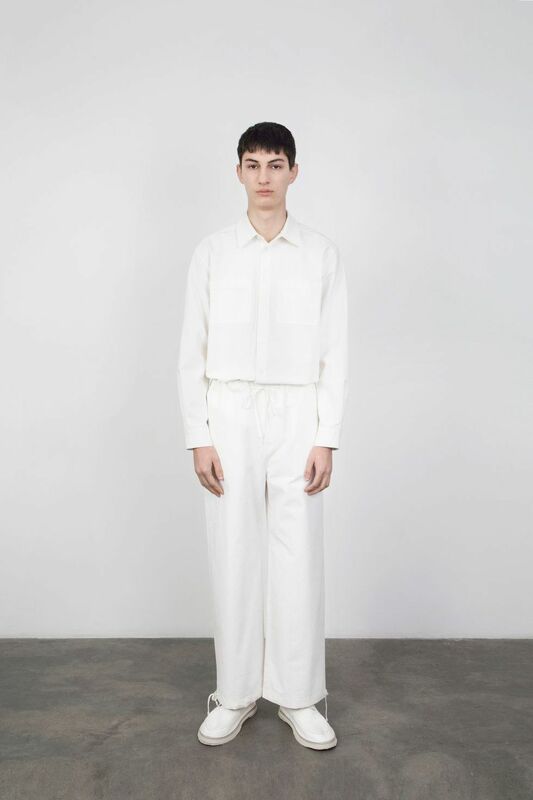 Each look from the collection is futuristic in its clean simplicity and functional in terms of its design, yet channels the '60s with classic cuts worn by American workers. The silhouettes are generally boxy and wide, and made with flexible, breathable material. 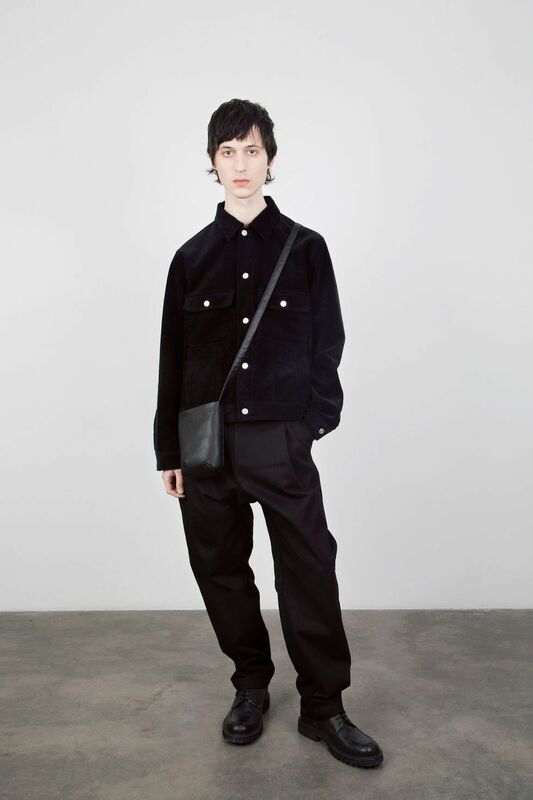 The added tailor-made bonus for the brand's specific demographic are the sleekly-placed fabric patches, utility pockets, and gussets. 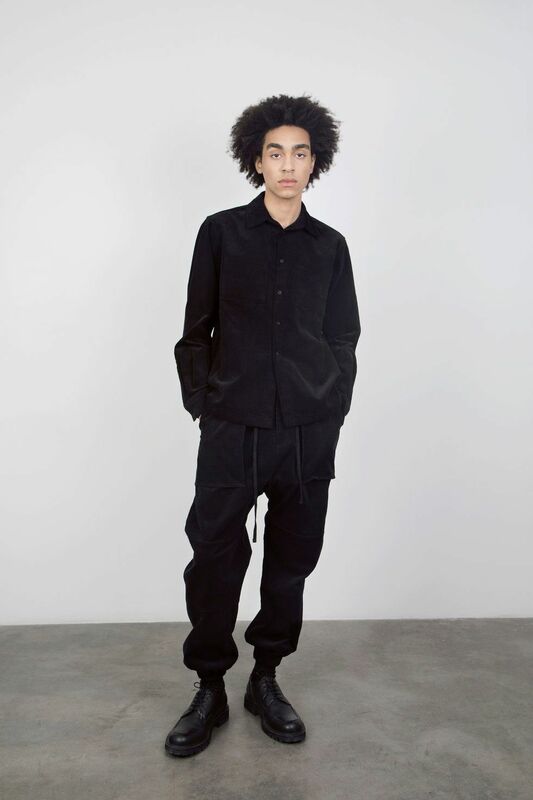 See the entire look book below, and shop Untitled Collective fall 2019 here.